KNEE DEEPSerg't Wm. 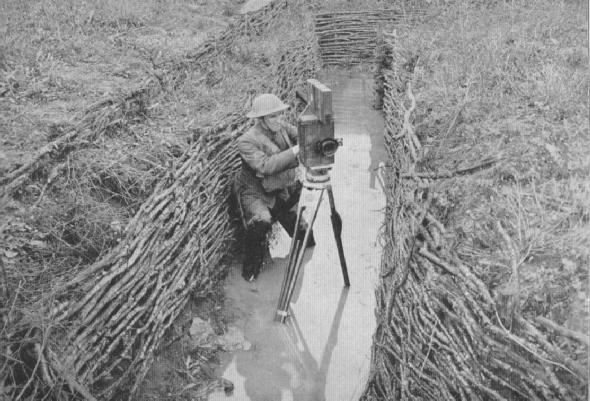 Thorpe photographing in front line trenches. Photo Det. 26th Division. Beaumont, May 4. 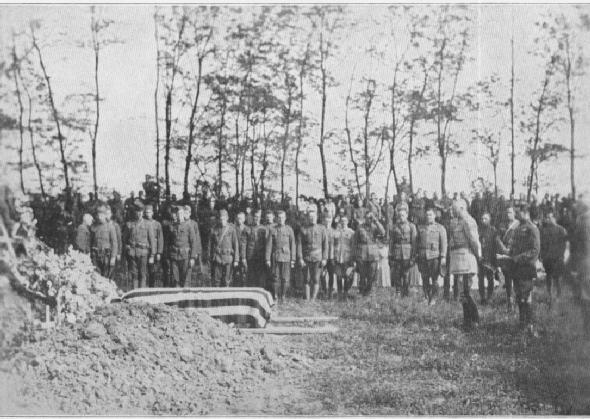 A LEADER PASSESGeneral C. Edwards, Commanding 26th Division, paying last respects to Major R. Lufberry, 94th Aero Pursuit Squadron, near Toul, May 20, 1918. Major Lufberry, the American Ace, was killed Sunday, May 19, 1918.